Microsoft has agreed to acquire the software product design and development studio XOXCO. 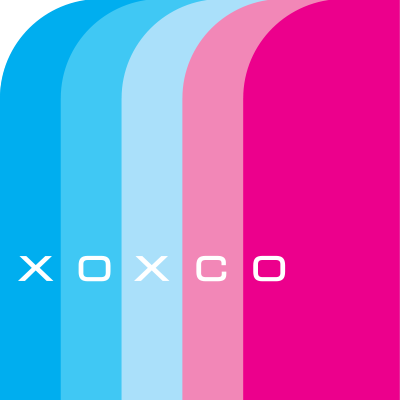 According to the company, XOXCO is known for its conversational AI and bot development solutions. “The company has been paving the way in conversational AI since 2013 and was responsible for the creation of Howdy, the first commercially available bot for Slack that helps schedule meetings, and Botkit, which provides the development tools used by hundreds of thousands of developers on GitHub. Over the years, we have partnered with XOXCO and have been inspired by this work,” Lili Cheng, corporate vice president for conversational AI at Microsoft, wrote in a post. Microsoft hopes this acquisition will help it make AI accessible to everyone. The LF Deep Learning Foundation, which is a project from the Linux Foundation, announced the first software release of its Acumos AI project. Acumos AI is an open-source framework for building, sharing and deploying AI apps. More about the release is available here. SnapLogic is adding new AI-powered intelligent workflows to its integration platform. According to the company, this will help automate all stages of integration projects such as design, development deployment and maintenance stages. The updates include a new self-service solution SnapLogic Data Science; new API management capabilities, new B2B integration, and a new dta catalog. Blue Prism has announced a new intelligent automation marketplace. The Blue Prism Digital Exchange is designed to enable users to access and download pre-built AI, cognitive and disruptive technologies, the company explained. “Designed to help customers accelerate the speed of their automation projects, the Blue Prism DX provides easy access to a wide variety of AI, Machine Learning (ML), analytics, Optical Character Recognition (OCR) and other capabilities. All these innovations are delivered and easily accessed through Blue Prism Intelligent Automation Skills, open API’s, downloadable connectors and reusable Visual Business Objects,” the company wrote in an announcement. AI-driven enterprise platform provider Cognigo has announced a $8.5 million Series A round of funding. According to the company, the funding will be used to evolve its AI data protection and privacy capabilities. The round of funding was led by OurCrowd with Proseguar and State of Mind Ventures. “Data breaches are constantly expanding, and some have a disastrous impact on both the privacy of users and the security posture of the organization. In today’s era data has become the new currency. Regulations like California’s new privacy laws slated to come in effect in January 2020 and the GDPR, require organizations to up their data privacy and protection methodologies. Cognigo’s technology combines cognitive science, AI, and machine learning to reveal dark data at scale in real time and automatically enforce data privacy and protection regulations,” said Guy Leibovitz, CEO and founder of Cognigo.